Founded in 1946 by Paolino Comelli in the quiet hills of Colloredo del Soffumbergonot not far from the ancient Roman city of Cividale del Friuli, the Comelli estate is managed today by Paolino's son Pierluigi. Working almost entirely with grape varieties distinct to the region, Pierluigi, his wife Daniela and their sons Nicola and Filippo craft unique and compelling wines. Their guiding philosophy is to respect the land, for "the land never betrays." Each wine is a perfection of expression of terroir and varietal composition, with the winemaking team guiding the wine in its evolution, rather than "creating" it. Their 12 hectares of vineyard are nestled between the influence of the Adriatic Sea and the Giulian Prealps, planted in chalky soils of Eocene origin. The high calcium/potassium and low phosphorus content make for properly-stressed vines that reach deep for nutrients and beautifully express their terroir. Vineyard work and vinification are highly sustainable, with only the most delicate use of agricultural treatments. This ancient variety has been grown in this part of Italy for literally millennia. Pliny the Elder commented upon it, and it was said to be the favorite wine of Augustus Caesar's wife Livia. The grape produces a unique and compelling wine- rich and intense, with a bright sharpness to the fruit. Recent genetic work has shown Refosco dal Pedunculo Rosso to be a parent of Marzemino. Vineyard location: “Gondolo” and “Sottocasa”, Parco della Vite e del Vino, Friuli Colli Orientali, in the villages of Colloredo di Soffumbergo (Faedis) and Togliano. Harvest: Grapes are hand-picked and put in small cases. The harvest usually takes place in the first week of October. Vinification: After the harvest, the bunches are destemmed and softly pressed. Fermentation is conducted at a controlled temperature in stainless steel tanks. Punch-down is done manually, to extract the softest possible tannins. 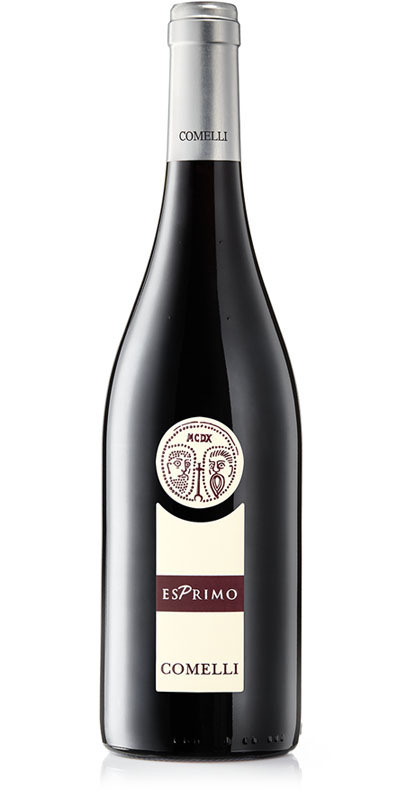 Although the percentages of each variety vary from vintage to vintage, the Esprimo red is always intense, with sharp raspberry flavors, delicate hints of spices and soft, round tannins. Great with: pasta or risotto dishes, white meats and mature cheeses.